We unleash our creativity on inventing components that help you discover new ways to turn the pedals. 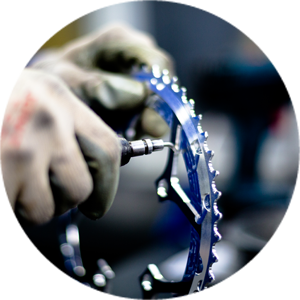 We manufacture from start to finish the products you install on your bike. Same as you, we live our cycling lifestyle outside of office hours, every day, on every ride. At the intersection of innovation and engineering is where you’ll find us. You motivate us to develop original solutions that evolve your experience on the bike. We unleash our creativity on inventing components that help you discover new ways to turn the pedals because we are inspired by what’s possible within the boundaries of science, design, and purpose. 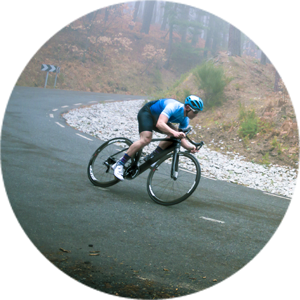 We manufacture from start to finish the products you install on your bike; you helped forge our main intention, which is to craft components with the function and quality that meet your expectations. 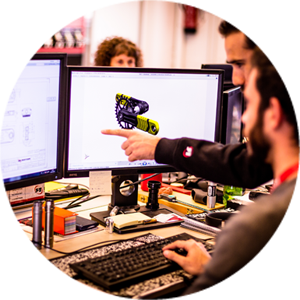 We are impatient on your behalf to achieve this – when we want to implement improvements, we can do that in our factory in minutes instead of days or weeks. We ride as well, and we are able to enjoy the fruits of a job well done – one that’s been conceived of in our relentless search for improved ways to ride a bike. Your passion for bikes is what strengthens our resolve each day to enhance your riding experience. Same as you, we live our cycling lifestyle outside of office hours, every day, on every ride.